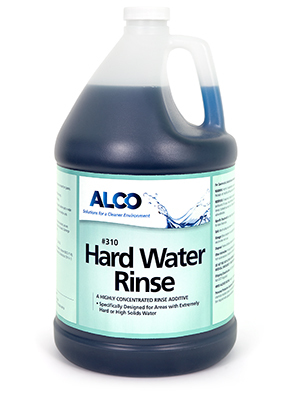 Alco Hard Water RInse - Alco-Chem, Inc. Concentrated, specialty heavy duty, liquid rinse and drying agent for hard water areas. Eliminates problems caused by alkaline salts in the water.